Those who knew me when I first moved to Tampa probably remember the days when I was a spice wimp. Living in Tampa definitely opened up my eyes to new spices and ethnic foods, causing my taste buds to turn over a new leaf. These days, I love to incorporate new spices into recipes and I just had my first experience with Habanero! We purchase filet mignon whole at a local market. After I butcher it, we always end up with about 2 pounds of usable filet chunks and I commonly use them for filet tacos, filet chili and filet eggs benedict. 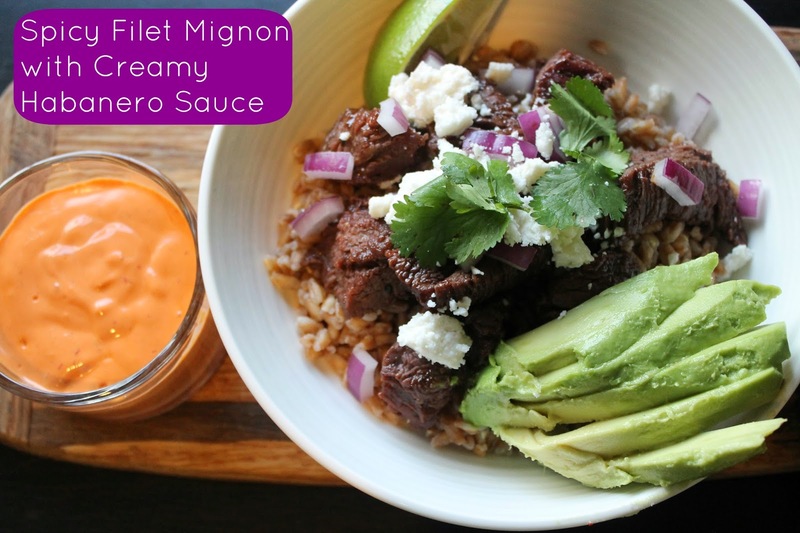 I decided on something a little different this time by making Spicy Filet Mignon Bowls with a Creamy Habanero Sauce. Since this was my first time experimenting with the Habanero flavor, I decided to purchase all three flavors by El Yucateco - Red Habanero Sauce, Green Habanero Sauce and XXXtra Hot Kutbil-ik Sauce. After a quick taste test, the El Yucateco Red Habanero won and I marinated chunks of filet in a mixture of honey and the Red Sauce. While I knew to expect some heat, I was not expecting the amount of delicious flavor the hot sauce brought to the dish. The recipe ideas using El Yacateco are endless but I absolutely see Habanero Chicken Dip in our future with College Football season quickly approaching. Marinade your steak with the first 7 ingredients for 30 minutes. Meanwhile cook the Farro and make the creamy habanero sauce. Remove steak from marinade and sear in a cast iron skillet for 1-2 minutes each side for medium rare. Layer ingredients and enjoy! 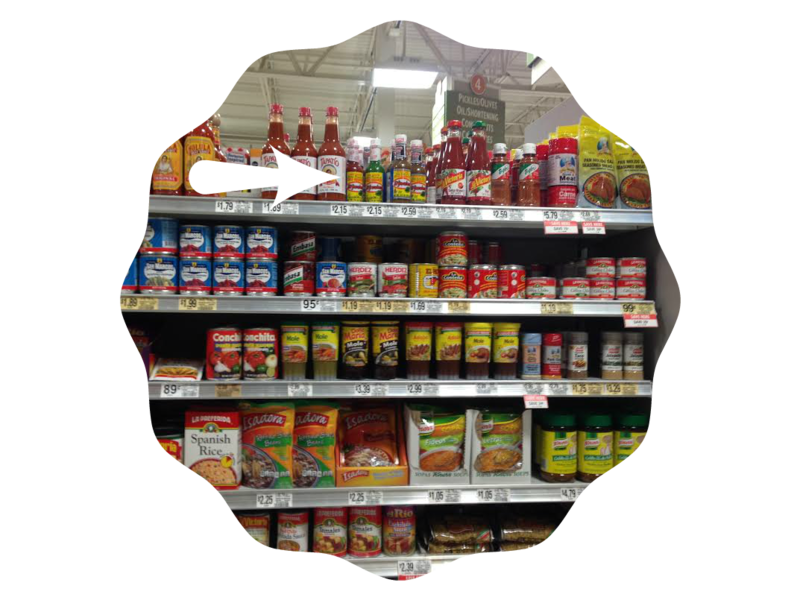 I found El Yucateco Habanero Sauces in the ethnic aisle of Publix in Brandon, FL. Oh yes yes yes. There is so much awesome in this blog post. I love the photos, first of all. VERY nicely done....I kinda want to lick the screen, but I'm keeping my bearings about me. I actually buy the Yucateco hot sauce pretty regularly so I was so happy to participate in the shop. Thank you! I was so excited to see this shop too. I actually thought of you while making it!! !